Since the last few days, Bitcoin (BTC) is trading around $ 3500. It has remained stagnant around those levels. However, earlier as well when it had stabilized and broken the range, it had fallen significantly. Hence, many investors and traders are of the opinion that Bitcoin (BTC) might once again head lower as well. If that is the case, the last leg of the Bitcoin (BTC) downturn might still be pending. 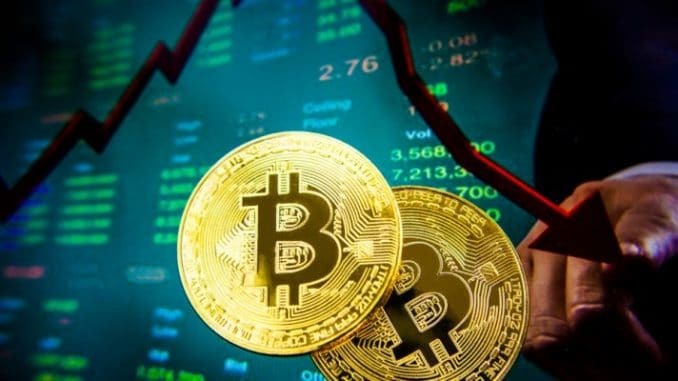 Is the last leg of Bitcoin (BTC) downturn still pending? On the higher side, $ 4000 is the resistance which Bitcoin (BTC) is facing. It hasn’t been able to sustain above that resistance. It has rebounded from $ 3300 in the past few weeks. However, up until now, it has not broken that resistance significantly as well. That is why it seems like it is still trading in a range. If it breaks $ 3300, it can head to $ 3000. If it breaks that, the next a long-term support is around $ 1800. While from the current levels, $ 1800 might seem far away, but same was the case when Bitcoin (BTC) was trading around $ 20,000. Nobody thought that it would fall to $ 3500. Similarly, $ 1800 might seem a bit off a right now, but once it breaks the resistance of $ 3300 and $ 3000, it can head much lower. That is why these levels are undoubtedly possible. At the same point in time, when the downward momentum increases, even more, the other cryptocurrencies will fall as well. Cryptocurrencies like Ethereum (ETH) which are already on the back-foot can head lower to around $ 50 as well. The entire cryptocurrency market cap will fall significantly as well. Nobody can say for sure whether the thousand dollars is the support or whether the last leg of the cryptocurrency downturn is pending. It might very well happen that the last leg of the Bitcoin (BTC) downturn might be pending due to which most of the other cryptocurrencies will head much lower as well. If that happens, it will scare away quite a few investors who think that the bottom has already been made. At the current levels as well, many investors are investing at the bottom of the cryptocurrencies. They might be in a soup if the last leg of Bitcoin (BTC) downturn might be pending. In such a case, it will be challenging for the same investors to average out at the lower levels. It seems like this consolidation might end with the last leg of the downturn which can shake investor confidence.